The Holy Bible may join the tomato, ladybug and a .50-caliber sniper rifle as Tennessee’s new state symbol. 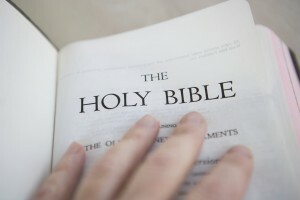 In a 19-8 vote, the state Senate approved a measure Monday that would make the Bible the state’s official book, the first state in the nation to do so. The sponsor of House Bill 615, Republican Sen. Steve Southerland, has called the Bible a “history book,” saying the bill highlights the book’s significant impact on the state’s history and culture. Before the state House passed the legislation last April, Republican Gov. Bill Haslam was among those who questioned the measure. “The governor doesn’t think it’s very respectful of what Bible is,” said David Smith, a spokesman for the governor, last year. Now, the bill goes to Haslam, who has yet to say if he’ll veto the bill. Lawmakers in Mississippi and Louisiana have previously attempted to make the Bible an official symbol for their state. They were unsuccessful.